When it comes to Gas Line Installation and general Gas Line Service, you want to make sure that you use a licensed professional with a plumbing permit. You should never attempt to deal with gas plumbing repairs or installations yourself. In the case of a gas leak emergency, always phone 911. We are available 24/7 to take your call, so once you have phone emergency services, you can get in touch with the plumbing professionals to perform any necessary fixes. Self-repair is never a good idea; it’s best to use a skilled technician that knows how to safely carry out gas line repair works. Our qualified technicians are fully licensed to carry out Gas Line installations and repairs for your home or local business. We also repair any damage that has caused a Gas Leak, so you can get your gas turned back on and your business operating as usual. Natural gasses are given a sulfur-like odor as a precaution to help you identify a leak. This is not like a water leak that doesn’t necessarily require immediate attention. If you can smell gas, you need to act quickly. Gas leaks can be extremely dangerous and even deadly. If you suspect a leak, phone 911, and then call a plumber to get the damage repaired. We have been in the plumbing business since 1983. We know how to handle any gas line material and make long lasting repairs. You can rest assured that you will not experience leaks from our repair work; we always make sure we use the right materials for the job. This ensures that the repair remains secure, and your property stays safe. It’s essential that you use an expert plumber who is fully qualified and has the necessary skills and expertise to carry out the job. Never put yourself or others at unnecessary risk by attempting complete the work on your own. 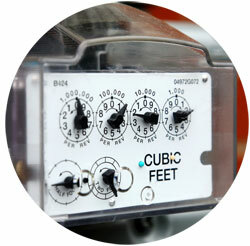 At Lightfoot Plumbing, we can install almost any gas appliance you need. Whether you need a water heater installed in your office or a clothes dryer installed in your home, we can help. Our plumbers are fully licensed and can handle the whole process for you. No matter what kind of appliances you need to have installed, our plumbers can help. If you have just purchased an appliance, we can install a gas line to connect it to. We can also install a new line if you want to move the position of an existing appliance. Whenever you install a new line that will need to be connected to an existing gas supply line, you need to take the appropriate care. When you need to install an appliance that uses natural gas to run, make sure you use a licensed professional for the job. This will ensure that the appliance is installed properly and functioning safely, so you don’t put yourself at unnecessary risk. At Lightfoot Plumbing, we pride ourselves on offering comprehensive commercial and residential plumbing services. We have over 33 years of experience in the plumbing business and are fully qualified to undertake gas plumbing service installations and repairs. Our fully licensed technicians have the skills and knowledge necessary to produce high-quality work, every time. We serve residents across Weatherford, as well as Fort Worth, Aledo, Granbury, and Burleson. 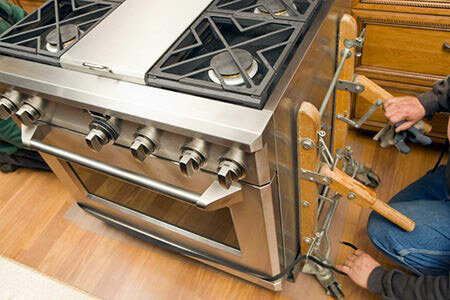 Whether you need to install a new gas stove, need a gas line installation or require a major repair – we can help!